The Holy Spirit gives wisdom to humble believers, so that they can teach men about the death, resurrection, and ascended power of Christ. 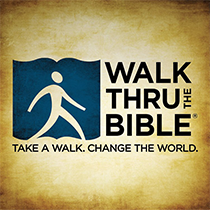 Paul embarks on his third journey that takes him first to Ephesus. Apollos combines the eloquence of the Greek with the religious instinct of the Jew. Most likely a student from the great university at Alexandria, Apollos is a convert to the Gospel, deeply conversant with the Old Testament. Gifted with marvelous eloquence, he is a strong ally of the Christian forces of his age. But he needs to understand the death, resurrection, and ascended power of Christ. Aquila and Priscilla teach Apollos these things. How wonderful is that holy wisdom that the Spirit of God gives to humble believers, so that they can become teachers of men who are intellectually their superiors! When teaching children or new believers, encourage them and have hope that some may become "mighty in the Scriptures" (v. 24). Ah, Lord God! Behold, You have made the heavens and the earth by Your great power and outstretched arm. There is nothing too hard for You. You show lovingkindness to thousands, and repay the iniquity of the fathers into the bosom of their children after them - the Great, the Mighty God, whose name is the Lord of hosts. You are great in counsel and mighty in work, for your eyes are open to all the ways of the sons of men, to give everyone according to his ways and according to the fruit of his doings (Jeremiah 32:17-19). And as for our iniquities, we know them (Isaiah 59:12). Jesus said to her, "I am the resurrection and the life. He who believes in Me, though he may die, he shall live" (John 11:25).